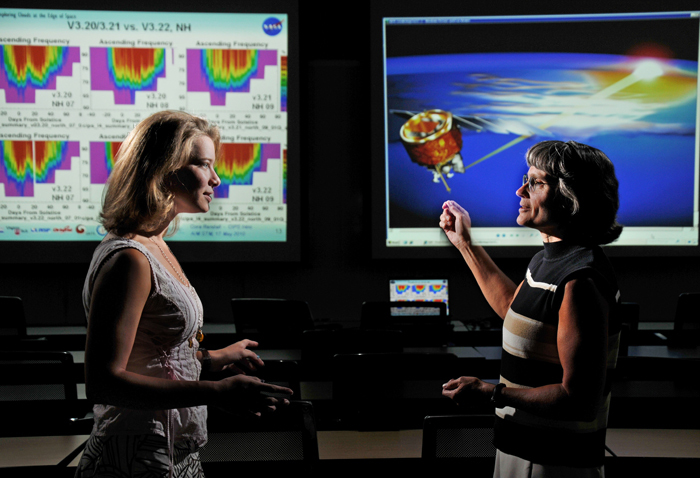 Among the flagship K-12 programs at LASP are our standards-based lessons within the middle school “Project Spectra!” program; Dancing Lights elementary school curriculum; and the annual Space Science Teachers Summit, a weeklong professional development workshop for secondary school teachers. We are also focused on the use of social media for education and outreach. OCO is the Education and Public Outreach (E/PO) lead for the NASA MAVEN mission to Mars; connect with MAVEN on Facebook and Twitter.